Mr. Yannick Kalantarian, Chief Executive Officer of The Anchor Group and Mr. Chen Zeng, Managing Director of Shanghai New Union Textra for Import and Export Ltd (Nutex), signed a partnership and trade agreement today that will link both companies tightly for the next three years to come. The agreement was signed during an official signing ceremony held by the Shanghai based holding company of Nutex, Orient Holding in the framework of the 1st China International Import Expo. 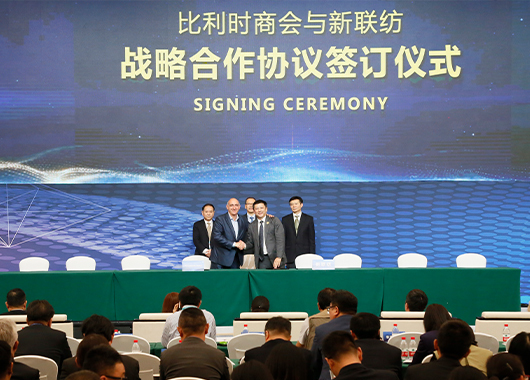 “This agreement is of great important to all our members” commented Yannick Kalantarian, “It allows to introduce and distribute rapidly and in confidence the products and services of our members to the Chinese market”.